OMEdit is the OpenModelica Connection Editor which is integrated with electronic notebooks and online interactive simulations. Electronic notebooks are used in teaching where the student should be able to interactively modify and simulate models. OMEdit integrated with OMNotebook gives students the facility to export/import models with connection diagrams between OMEdit and electronic notebooks. 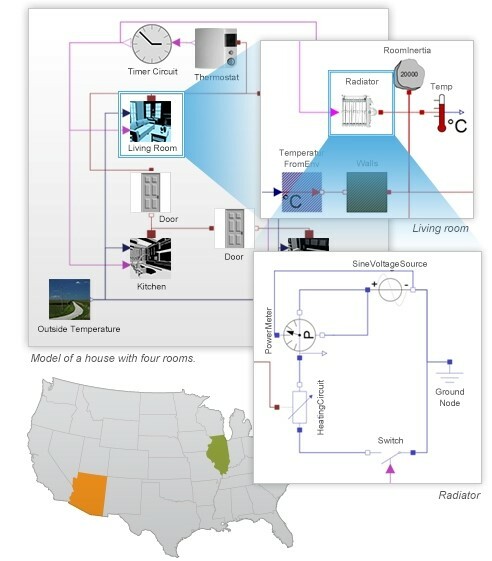 The interactive online simulation makes the simulation respond in real-time to user input and changes to parameters. 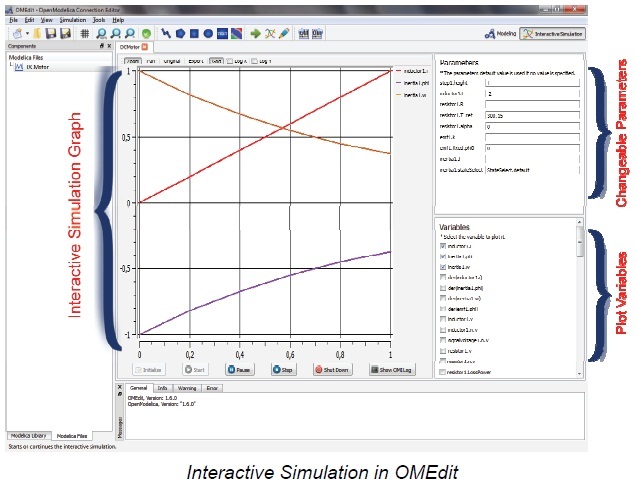 OMEdit use the OpenModelica Interactive (OMI) subsystem to perform interactive simulation. The OMI server communicates with the client (OMEdit) through tcp sockets. Change the parameter value at any given time. Select which variables to plot. A variable window containing list of plot variables. A graph window showing the results interactively. Manipulating graph curves like changing colors, showing dots instead of lines. User friendly environment to start, pause or stop the running simulation.